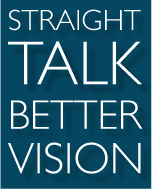 Eye care is something we all need, and straight talk is the best way to get advice. Easy to understand. Easy to follow. It’s the kind of talk you hear from Dr. Sam and the folks at Dr. Sam’s Eye Care. Dr. Sam is a dedicated medical professional who knows that all doctors get the medical fundamentals. It's a lot harder to learn personable, chair-side manner. And both qualities are a must in an eye care provider. That's why, when you visit Dr. Sam's Eye Care, you find that everyone you work with is an eye care pro--as well as the best kind of people person. From Family Vision Care to Glaucoma Prevention & Treatment, from Neuro-Optometry to Pediatric Eye Care, Dr. Sam insists on demystifying the clinical. He speaks about even the most complex matters in plain, understandable terms. When you leave, Dr. Sam wants you to know exactly what’s going on, understand what needs to happen next, and be happy with the entire experience. If it seems very commonsense, it is. Dr. Sam just wants to make sure you see the best you can, you get what you need, and you pay a fair price. Simple. Straightforward. Commonsense. The traditional New England way. So when you need eye-care advice, ask Dr. Sam. You’ll get straight talk. And better vision. We specialize in real care. The kind that doesn't stop when you leave. 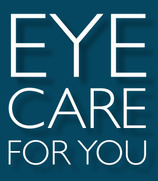 Dr. Sam’s Eye Care is a family vision care practice. As such, we offer eye care to everyone in the family, from cradle to well past retirement. Additionally, Dr. Sam’s Eye Care offers a few areas of specialization worth mentioning. Dr. Sam has a way with kids—complementing his extensive background in Pediatrics & Vision Therapy. This includes evaluating and treating children who are struggling with academics due to undiagnosed vision problems. He also treats adults and children with eye tracking challenges, as well as strabismus and amblyopia (AKA lazy eye). If you have any questions about your child’s vision, especially if you’re dealing with learning challenges, give a call to Dr. Sam’s Eye Care. Dr. Sam is a recognized Glaucoma Specialist. For anyone at middle age or older, it’s important to be tested annually for glaucoma. Known as “The Silent Thief,” glaucoma exhibits few if any symptoms until it begins robbing an individual of his or her sight. Catching glaucoma early is key to preventing blindness and keeping one’s vision healthy. For answers about prevention and treatment, feel free to call Dr. Sam’s Eye Care with your questions. Dr. Sam advises anyone diagnosed with diabetes to have a regular diabetic eye exam. The leading cause of blindness in American adults is diabetic retinopathy, which causes blood vessels in the eyes to swell and leak fluid. In other victims of diabetic retinopathy, abnormal blood vessels start to grow on the surface of the retina. Unfortunately, an individual with diabetic retinopathy may not notice any changes during the early stages. And diabetics are also at increased risk of catracts and glaucoma. The best time to treat these conditions is as early as possible. If you'd like to schedule an eye exam, or if you have any questions, feel free to give us a call. Because your hearing is as important as your vision, we're pleased to haveJohnson Audiology operating out of our Hanover office. The stellar team at Johnson Audiology knows that to best care for your hearing, they must first listen to you. That's just one of the reasons we bleieve you'll appreciate them as much as we do.